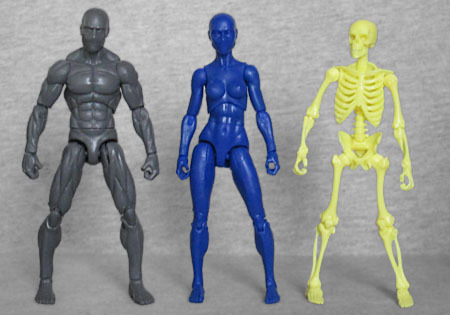 We're soon going to be posting reviews the Vitruvian HACKS accessory sets, so these three happy campers - one male, one female, and one skeleton - will be serving as models for the various pieces. This page will also link to all the reviews as they're posted. This entry was posted in blog exclusive review, lists and tagged Vitruvian HACKS. Bookmark the permalink. Ossy = bone, as in "osteopath"
June is bustin' out all over - Carousel? June Sky? Is that a thing? June Moon - Blue Moon?